In the marketing world, it is essential for a company to convert their site visitors to their customers. The question that every business face is how they can tap into the global market again so many competitors against them. Online lead generation is the answer to such questions. 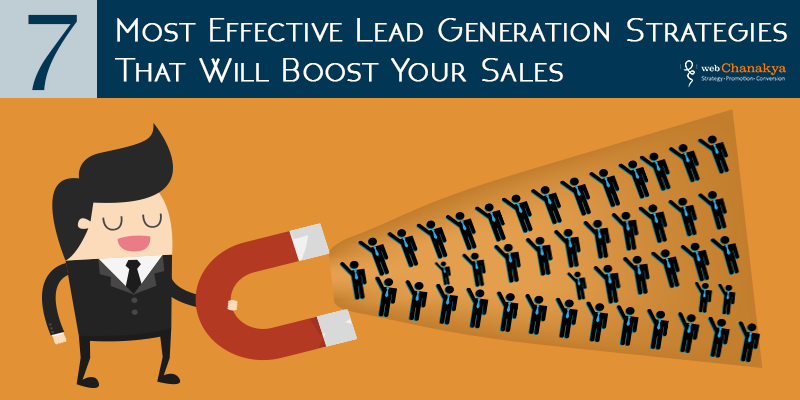 Lead generation works as a catalyst in expanding in any business and grow sales. It is one of the key activities which drive not only drive sales and traffic to the website but also convert the engaging site visitors to make a purchase from the site. It is a company’s lifeblood, and to sustain the leads it is indispensable that you come up with a solid strategy that will help the company to maintain the growth and revenue. Leads is all about being found and build a relationship with the prospects using multiple channels. A successful lead generation strategy will always have the understanding of what the prospect needs. It is a process that could lead to prompt substantial profit to your product or services and your brand. It is always not required to put in more marketing efforts into setting a marketing budget to increase leads no matter how small or large is your business. Here’s an overview of some of the cost effective strategies that you could apply to generate leads and gain prospects for your business. For any business, generating leads through email marketing is a solid tactic, it enables the business to inform the costumers about new products, services and events. Email is one of the preferred channel for communication, it reaches to the people who were not looking for your in the first place but now are likely to turn into your costumers. It is surveyed that 83% of consumers are likely to spend more when they receive relevant information regarding the product or services through emails. It is a superb medium that provides you an access to inaccessible prospects, get more business from current consumers, follow up inquiries and so on and so forth. It serves the purpose of Reaching the right audience at the right time with the right message and offer. The emails also require to have strong call-to-action. Stick to only one action and make it clear what it is their for the lead. 1. Referral Programs: First you need to prepare referral programs for those who are aware of your business. You need to set goals, determine the distribution channels and define the rewards. You have to make it DIY habit to prepare emailing lists ans create campaigns catering to each user group. 2. Sign up forms: Sign up forms are substantial for collecting email addresses. There are so many types of forms available, such as pop-over, light-box, bar, embedded and many more, you have to chose the right one with the highest conversion for your business. Landing pages act as a huge possession to a business when you are trying to convert the site visitors into leads. Landing page need not to be the home but can be any page where someone lands after clicking on a certain advertisement or pop-up. 1. Lead Generation Landing Pages: They capture the information of company or user in the exchange of something. 2. Click-through landing pages: It is to attract the visitor to a specific product or service. it is used to provide as much information that may be required to woe the visitor to make a purchase from your site. Landing pages focus on the goal of your business rather than providing all the information about the product and services that your company offers. They serve the purpose of effective call-to-action. The most important element of the landing page is to convince the visitor that what you are saying on the ad is what you are going to deliver it to him. This can be achieved by using call-to-action on your ad as the headline on your landing page or by duplicating the graphics on your ad to the landing page. On the landing page its all about the content, make sure that you have such content that hypnotizes the visitor to extent they make the purchase from the site in that very session. There is no question that the website is the place where the real magic happens, it plays the vital role in generating leads. It only because the presentation and information about your products and services that you offer, the customer decides whether he wants to make a purchase from the website or not. If the website is good enough, it will convert more of visitors into the regular customers. Websites are likely to generate leads when they use forms, entice the visitors with appealing and interactive look and feel, and use effective call-to-action that results in clicks. But there is also one prominent factor, let's just say that you might have an amazing, engaging and interactive website, what is the use when it can't be found, that's where SEO comes in. 1. Create call-to-action that convinces the prospect and convert him into the consumer.You should be able to address the question "Why should I click?" and convince the visitor that it is the only site that he is looking for. 2. It doesn't matter how effective your call-to-actions are or how tremendous your content is, when the visitors are not able to read or find the thing they are looking for. Here the design or the graphics plays the major role. Structure the site in a manner that it becomes easy to understand and make your valuable or important content stand out. 1. Videos: Videos are more compelling than text, make videos that describes the specifications and features of the products, or explainer videos for the products and services you offer. In the videos pick up a relevant problem and describe how your product tends to solve it. Also include a sign-up form in your video along with call-to-action. 2. Photos and Testimonials: Photos and testimonials are one of the most effective marketing tools. 3. Content: Creating a high-value and relevant content that address your target audience attracts leads that may convert into your loyal costumers. In this socially globalized world, it is eminent that every fourth person you meet is related to someone you know of. It is ideal to say that people have hundreds of contacts and this effective networking can lead to your destination of achieving loyal and satisfied consumers. But here is the pick, not everyone is a good networker, so its on you how you develop the art of meeting and engaging with new people and sell yourselves in a manner that they directly turn to your business and build a relationship with you and your business. It is vital that your create a lasting impression that builds your network and try to expands you contacts to maximize the chances of success. Establish an online presence by generating leads through guest blogging, though marketers suggests that guest blogging is based on the industry preference. It helps in increasing the exposure, drives direct traffic to the website and builds an authority for your business. Ask the influencers in the niche you are in to write on your website, that can be anything related to your business or how your products are relevant to the audience your are targeting. For small businesses, in particular, face-to-face interaction with your prospects and consumers is one of an effective lead generation tactics. When prospects gets to know your ideology, they tend to relate with you on a different level and affinity follows. What you should focus on, is to provide the solution to the major challenges your prospects face. this is reciprocated with trust of your prospects and stronger relationship. Coming to webinars, if you choose a current and trending topic you are likely to generate more leads than just writing a blog about it. Events are also is also one of a kind lead Generation platform, where you can display products and services of the company. Events like conferences and tradeshows maximize the chances of meeting new people and build connections with them on a personal level as well. It is one the great platforms that introduces the sellers and buyers directly and they can discuss about the challenges the buyers face. In events like these, you can hand over a sign-up form to the prospects and generating a new emailing list. Having a solid Search Engine Optimization is extremely crucial for any business. the algorithm for SEO keeps changing every now and then, so if you want to appear high in the rank in the search result, your website must rely on authentic content, stuffed with intelligent keywords. High quality content acts as a fuel to improve the ranking of your website. SEO generates leads through organic searches that consumers do, SEO along with content marketing serves a great deal to the visibility in the search engine algorithms. Paid Search or Pay per Click helps the businesses to generate great deal of targeted traffic that might concert into the lead. It grabs the attention of the prospects to the products and services. With Such advertising, businesses have to pay for every click that has hit on their ad that is published either on their website or search engine. It still generates convincing result in the quickest time. There are no second thoughts that social media is the source of the maximum lead generation that appears on the online platform. It is the channel which not only engages and connects your business with your target audience, but it has gradually become the ideal platform for marketing and promoting your products and services in a very creative manner. Social platforms are ideal to connect and build connections with as many people as you want. It connects the business and prospects or consumers directly making them the loyal consumers of your brand. 1. Facebook: Facebook tops the charts when it comes to generating leads through social networks. It claims to have 1.4 billion monthly users, your goal should be to reach as many of them as possible. Engage the prospects and consumers into some contests on a regular basis, provide them some incentives like coupons or vouchers. Rewarding the contestants always garner more attention than just conducting a contest or a quiz. Make them feel their importance by posting the content they like and that is relevant to them. Engage the followers and convert them into the email subscribers. 2. Twitter: Twitter is not behind Facebook when it comes to driving traffic to your website. You can build an emailing list with the count of your followers. Push the boundaries with clear and effective call-to-action on your page, including images, gifs, videos and event content. 3. LinkedIn: With the population of almost 350 million members, LinkedIn has the humongous chances of generating leads that are relevant to your business. Businesses can use various search filters to find appropriate prospects and influencers to build a huge relationship network. this will drive your sales and direct the traffic to your website in no time. 4. Pinterest and Instagram: When combined both the image sharing are capable to enough to drive sales at a constant speed and generate as many leads as you can think of. On pinterest, making boards of your visual content is engaging and structures the pins into an appealing format. Instagram is a superb platform for reaching out to the prospects and elevating the sales. By now, it is the known fact that content is the king, which plays a pivotal role in creating a brand. Whenever, we think of content, we instantly come up with blogs, but content is not just about it only , it includes eBooks, presentation slides, templates, videos, podcasts and webinars and so on. The most important thing is that what may be the form it has to be relevant and valuable. Right form of content reaches the target audience and become required leads. It helps in generating inbound links and social shares by creating brand awareness and influence sales. To grow your business with content marketing, you need to define the target, know what they like, desire and prefer. 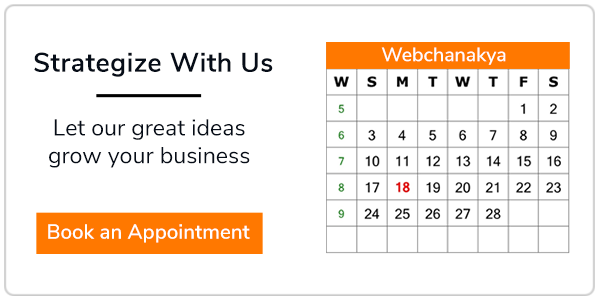 Develop the ideas surrounding your goals to generate leads and drive sales. Content also helps to connect emotionally with your prospects and consumers, be clear with the objective and try to incorporate the appropriate message that you want to deliver.er is your ideal customer. 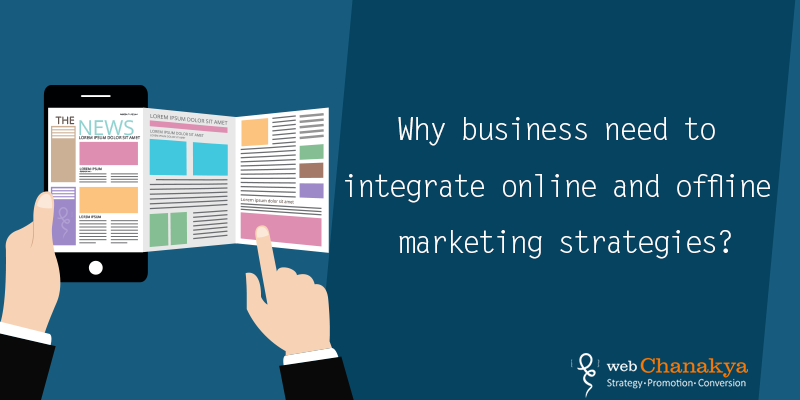 You need to identify the right form of content based on the distribution platform. 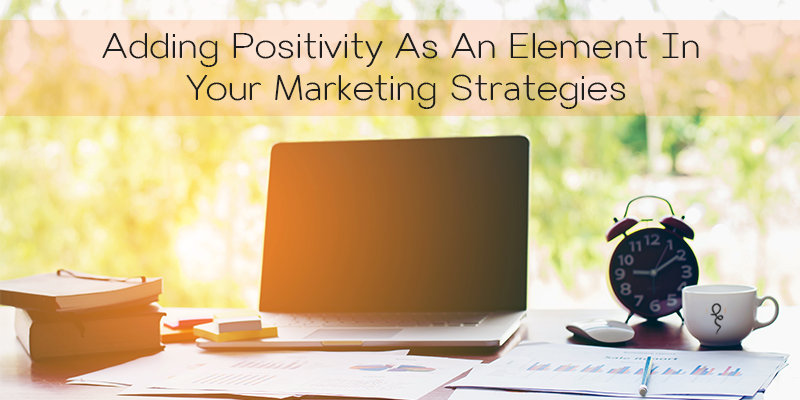 You need to figure out the form that is most pertinent to your target audience. 1. Presentation slides: Sharing the slides on slideshare gradually elevates your business, optimizing your slides with popular keywords and clickable call-to-action generates most leads. To increase the exposure, you can also share the slides on multiple platforms and also share the presentation on cross platforms. 2. Blogs: For the most effective inbound marketing, blogs play a crucial role. They are the biggest source of traffic to your website, adding sign up forms in the blogs also boosts your sales. 3. Lead Magnet: It is like an incentive that lure the prospects to give their emails to you. First, you need to understand the audience and their requirements, then offer them something which of their relevance. Though we are sure that we have just scratched the surface and there's lot more to write and talk about each of the topics in particular. By leveraging these strategies, we are sure that they'll help you in generating leads and it'll no more be a daunting task. Because, lead generation is the heart and soul of any business be any marketing method they opt to choose, traditional or online. The objective is to generate leads and convert the prospects into the loyal consumers.